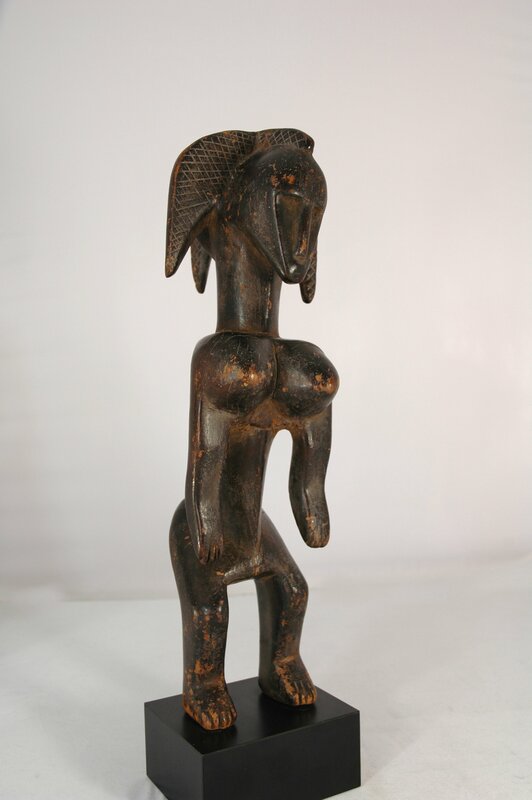 Country: Nigeria / Cameroon Height: 25 cm (without protruding objects) Materials: leather-clad figures with animal remains, beads, ? 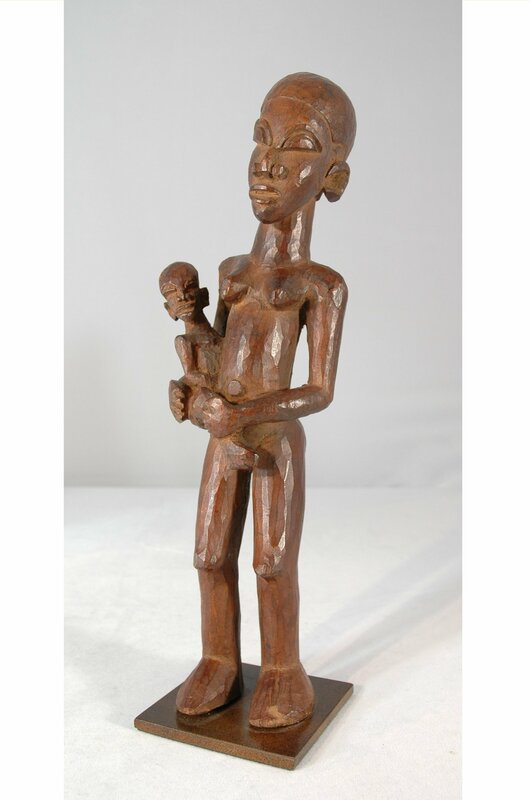 Country: Ivory Coast Material: wood Height: 37 cm Provenance: Prof. Heinz Plester, Gladbeck - Germany. 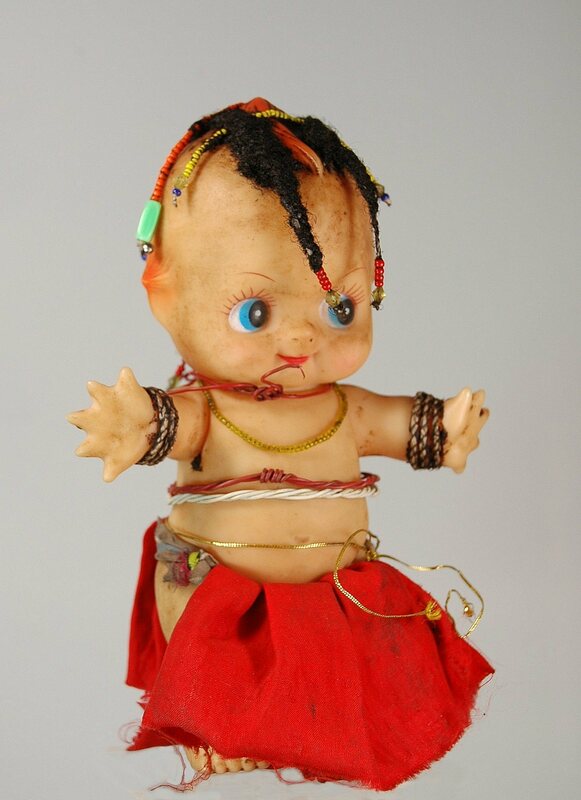 Country: Angola Materials: plastic, textile, fibers Height: 22 cm Origaninally this was an American Kewpie doll, transformed by the Hakoma. 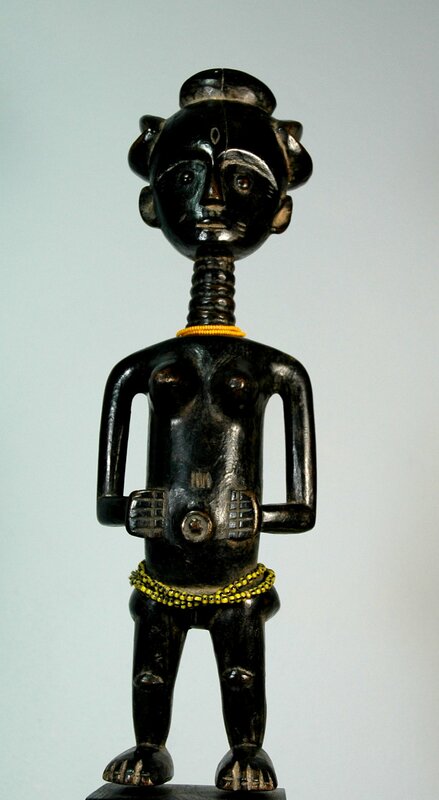 We know about some Barbie dolls, transformed by the hemba and the Ndebele. 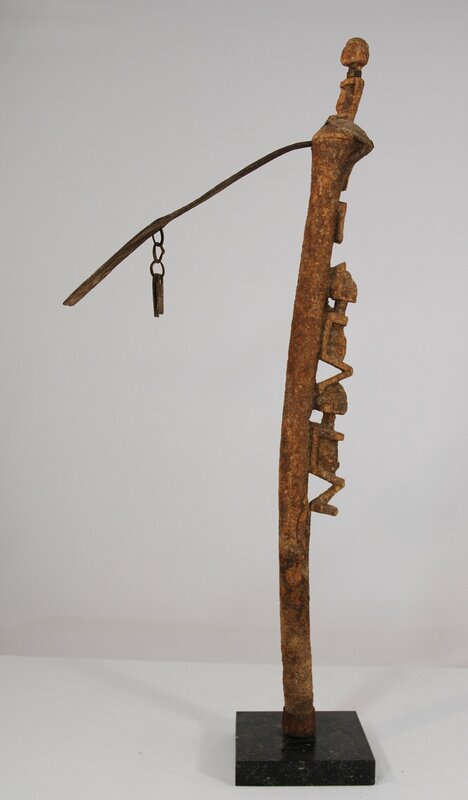 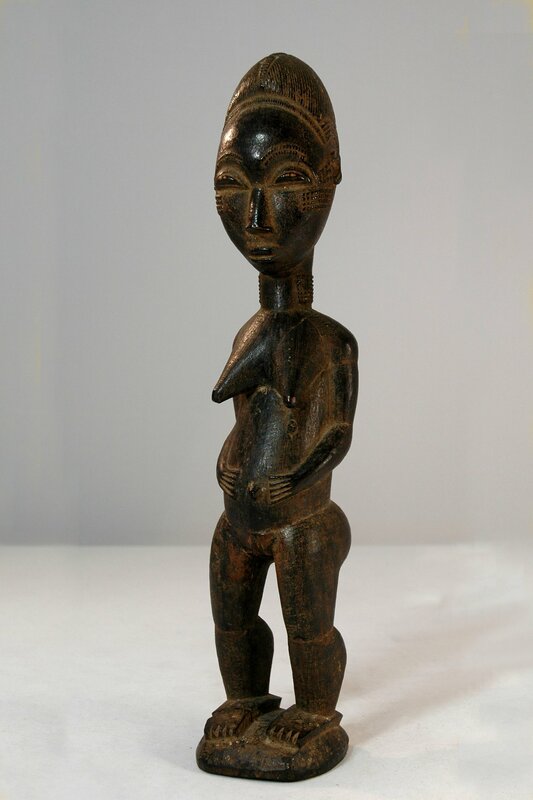 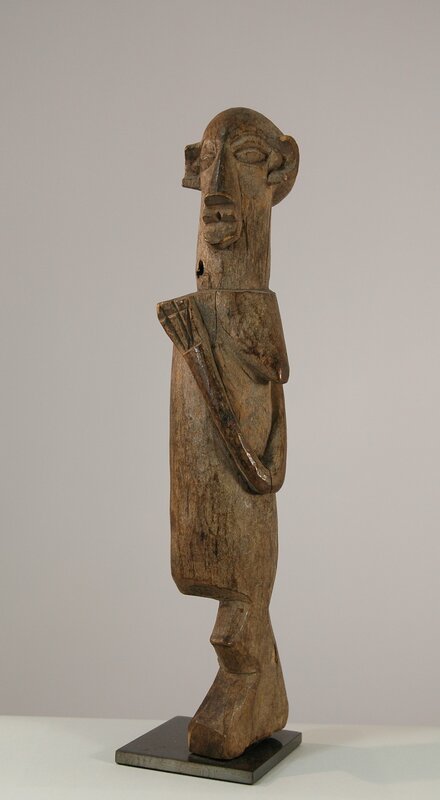 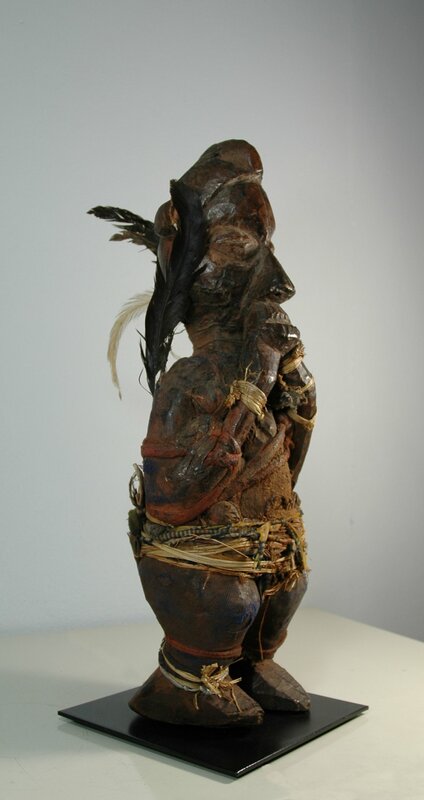 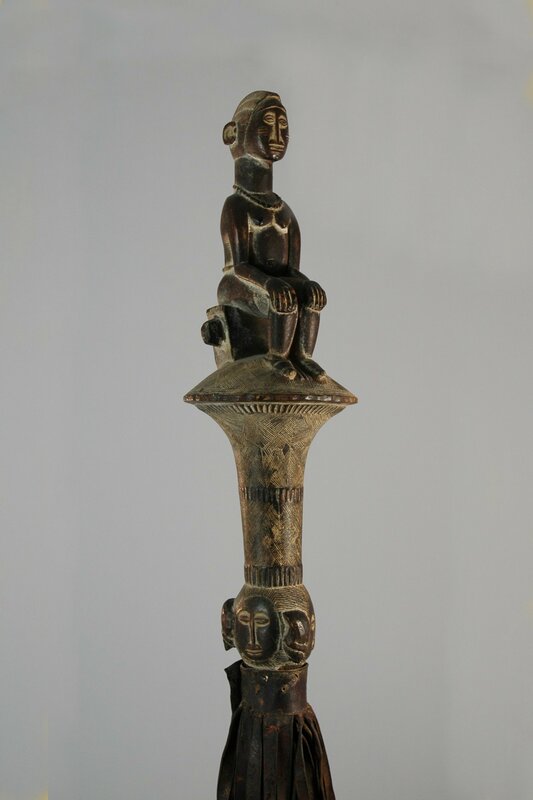 Material: wood, iron, sacrifice material Height: 57 cm Country: Mali Desplagnes (1907) describes that ritual specialists, called laggam , sometimes carry an ax with a circumcised handle. 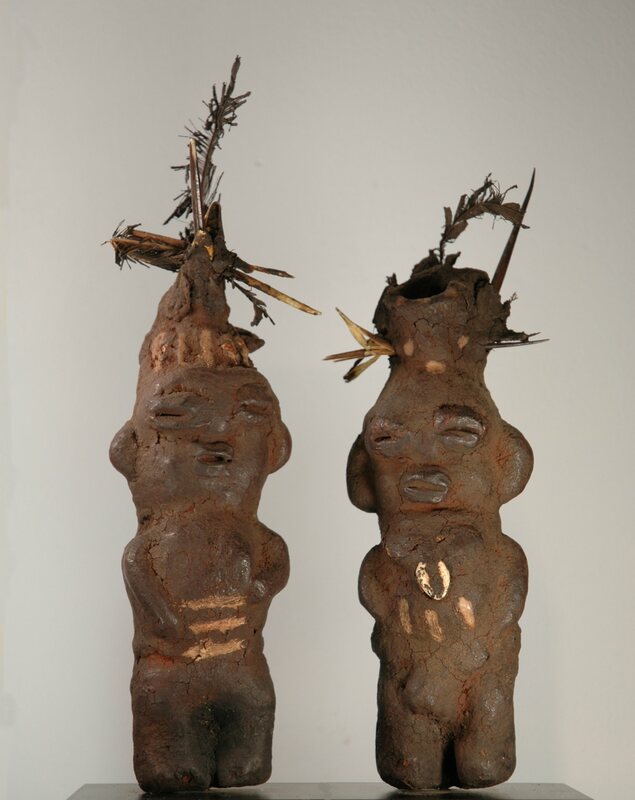 Dagan assumes that this is the binu priests, the binukedine . 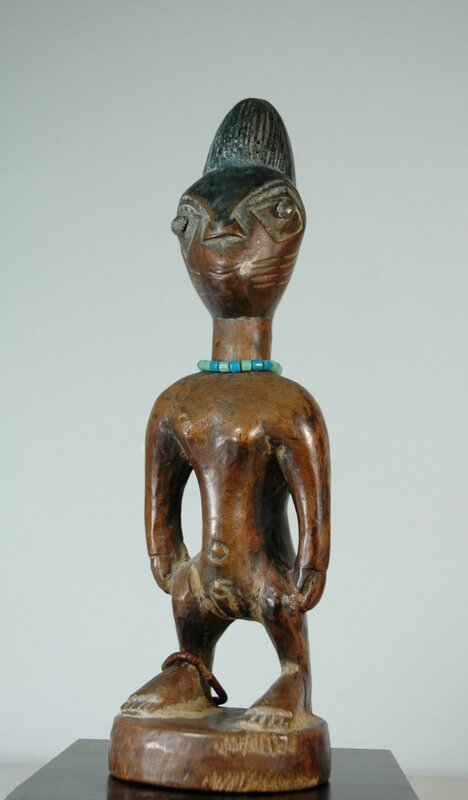 A staff of the same hand / workshop is located in the Koenig collection. 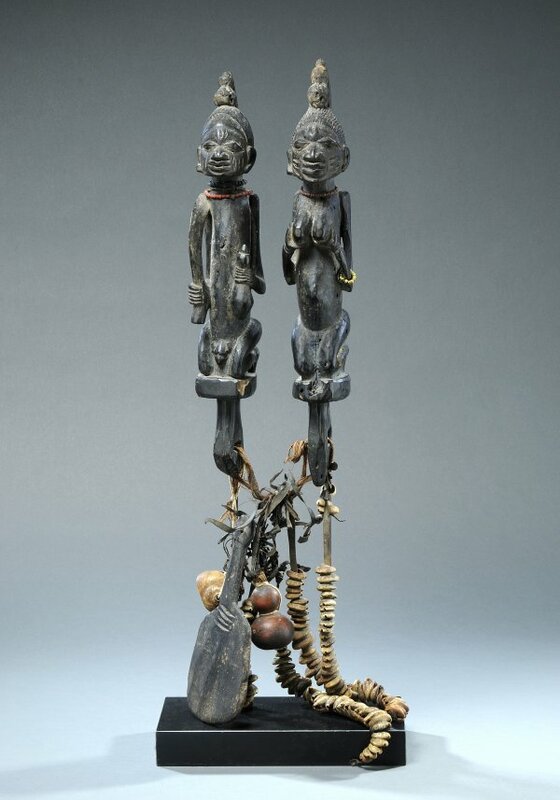 A third staff with the sophisticated structure, but with different figures, was in the hands of Victorio Mango and Serge Scoffel.